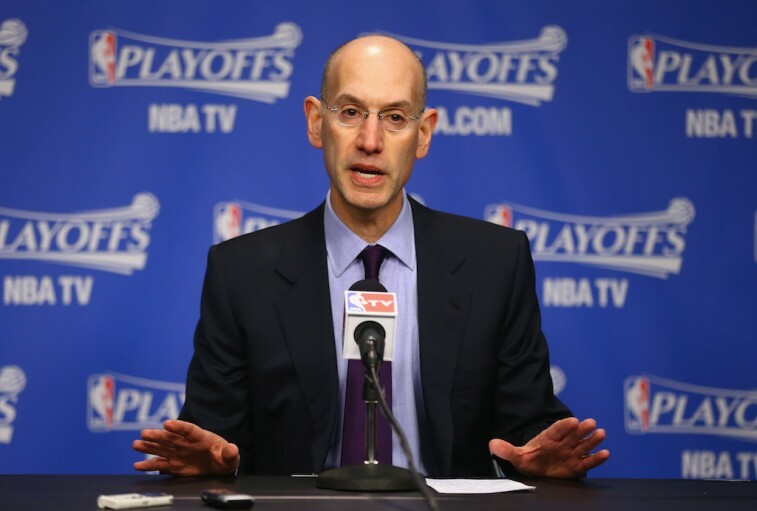 For all the love the National Basketball Association generates, it’s far from perfect. While it hasn’t always been that way, the past few years have seen a plethora of topics come up for debate — each of these issues causing controversy, each without an easy fix. We can look at “tanking” as one of the more contentious problems in the NBA; how teams are losing in order to find their way into a better draft position. Or after this latest offseason, we can easily find fault with current moratorium period that takes place toward the beginning of free agency. Following the DeAndre Jordan saga, where one of the biggest prizes on the market had eight days to flip-flop on a verbal agreement, we shouldn’t be surprised if this hot-button topic begins takeover the conversation. However, despite these issues taking over much of the current conversation, the biggest problem plaguing the NBA has nothing to do with any of this, and everything to do with playoff seeding. And according to commissioner Adam Silver, the league may finally be ready to put this problem to bed by not guaranteeing a playoff spot to a division winner. Under the current format, not only do all division winners make the postseason, but they cannot get worse than a No. 4 seed. This rule came under heavy fire this year after a Portland Trail Blazers team — which finished 51-31 on the year — nabbed the No. 4 spot over teams with a better overall record simply because it had won the Northwest Division. The solution Silver is suggesting, would put this current issue to bed once and for all. While we completely understand where he’s coming from, and think it’s a step in the right direction, we believe there is a better way. And we’d like to share it. The whole reasoning behind this discussed change, is the belief, and unlikeliness, a division winner doesn’t have a good enough record to finish outside of the top eight teams in the conference. At these odds, it makes absolute sense the league would want to head in this direction. But even if this was the case, even there was a 95% that a division winner made the postseason, if these teams aren’t guaranteed a place at the table, then why have divisions at all? Think about it for a second. Aside from making the playoffs, what is the sole purpose of winning a division? Is it about pride? Is it about getting to raise a banner at the start of next season? These things are all well and good, but they don’t put a team any closer toward taking home a championship. Isn’t that the point of playing in the first place? Fortunately, we firmly believe there is an easy fix — one that makes the most sense for all parties involved — and is simple to enforce. The way we see it, division winners should be guaranteed a playoff spot — they worked hard all year and deserve the opportunity to vie for a title. However, after all eight teams in each conference are decided, seeding is based on overall record. If you win the division, great. Yet, if you’re record is seventh best in the league, then you get a No. 7 seed. End of story. Case closed. Problem solved. The one thing we can all agree on, is the current format for playoff-seeding needs an overhaul. It’s not fair, it ruins competition, and it’s high time it gets corrected. Yet, even if the odds are in your favor, if you’re going to remove a division winner’s guarantee of a playoff position, then we shouldn’t have divisions to begin with. Therefore, if divisions in the NBA are going to remain, then continue to allow them to matter. If they aren’t, then they become irrelevant and should be removed all together. We’ve thrown the perfect lob. 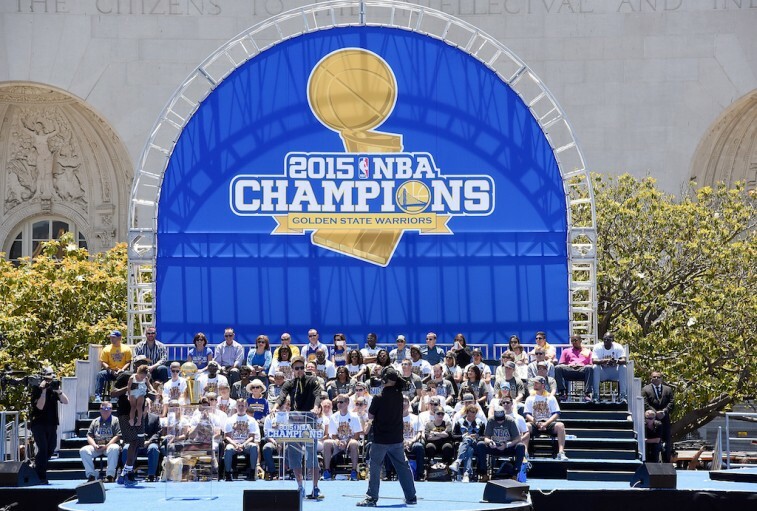 Time for the National Basketball Association to slam it home.